In the print magazine Metropolis, Lisa DuRussel, a landscape architect at Mathews Nielsen discusses the many digital programs used in design. 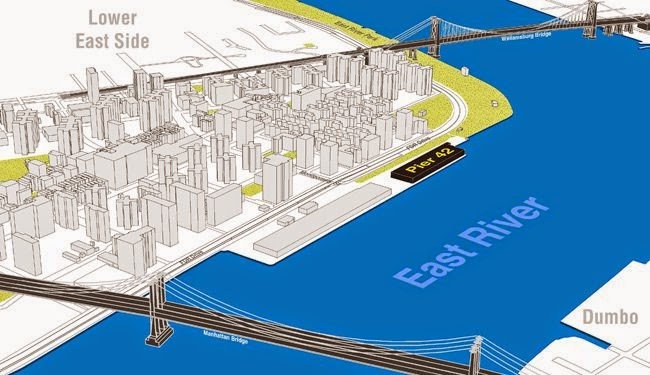 Using Pier 42 in New York City as an example, she explores options for using digital tools in design. The article shows how GIS data, AutoCAD, Rhino, Grasshopper were all used. Metropolis examines contemporary life -- all through design, architecture, interior design, product design, graphic design, crafts, planning, and preservation. Metropolis Point of View article . . .